The garden will be carpeted with pansies and daffodils. 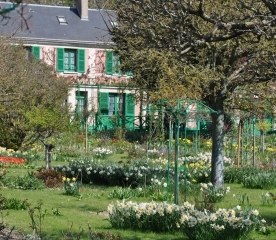 Monet’s house and gardens will be open daily from 30 March 2013 till 1 November 2013. The new admission prices for 2013 are 9.50 euros for an adult, 5.00 euros for a child of 7 or older and for a student, and 4.00 euros for disabled people. To save time, you can get advance tickets on-line for the same price. I will be in Paris 03/30/13 to 04/08/13 to see my daughter in the Paris Marathon on 04/07. When would be the best time to see Giverny? The best day will probably be the Wednesday, depending on the weather. Is it usually rainy late March / early April? The weather at Giverny is absolutely unpredictable and constantly changing. 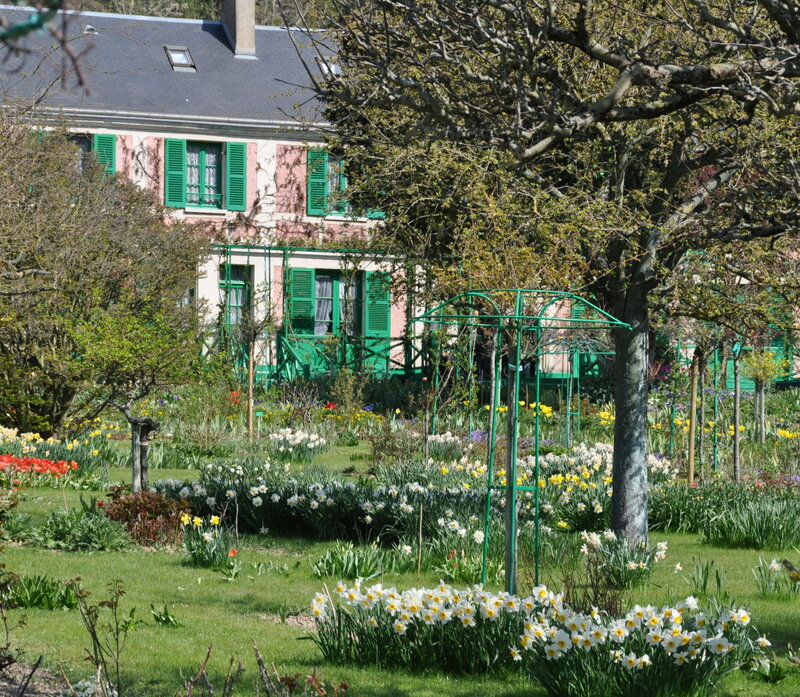 I am interested to know the exact location of Monet’s Blue House Vegetable Garden. Can you assist? Do any photographs of the garden exist? As far as i know if was on the back of the Blue House. I have seen Giverny’s fall gardens and want to see the garden in spring. Do you expect any spring plants might be flowering April 2-9? Could you tell me please if the gardens are open on Monday July 8 this year. Yes, they will be open. Fondation Monet is open 7/7 until November 1, 2013. Please advise if the gardens & gallery will be closed from 2nd July for a week, as we were advised by a local from Giverny.